2 Beds 2 Baths 1,120 Sq. ft. RECENTLY COMPLETELY REMODELED FROM TOP TO BOTTOM! 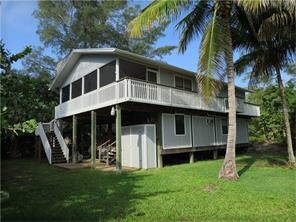 Bring your bathing suit & your beach toys which is all you will need when you purchase this wonderful LGI beach house. The house is centrally located between the bay/dock and the Gulf of Mexico. It sits on a private and well landscaped corner lot. You will not be disappointed once you visit this special Little Gasparilla Island property. Your dock is #42. NOTE: THIS PROPERTY IS LOCATED ON LITTLE GASPARILLA ISLAND. IF THE MAP DOES NOT SHOW IT THERE, THEN THE MAP IS INCORRECT. Don't let the square footage of the house fool you because this house has an abundance of living space inside and out. The owners have updated this beach cabin but retained the charm of the original cabin. The main living area is open to the kitchen, dining area, and screened lanai. This spacious area has vaulted wood ceiling which adds warmth & charm. The kitchen is well equipped, has an abundance of cabinet space, a pantry, good counter space and breakfast bar to boot. The breakfast bar divides the kitchen from the dining area. Ample storage and closet space. The bedrooms are spacious and both bath rooms have been updated. The indoor laundry with washer and dryer is handy and located in the hallway. Excellent bonus room awaits your preview and so does the roof top observation deck.